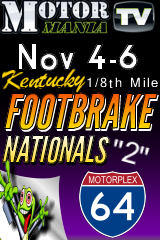 Owingsville, KY - The Nation's Best Footbrake Racers take to the track beginning Thursday evening and will be racing throughout the weekend at I64 Motorplex in Owingsville, Kentucky. CLICK HERE for Live Video Coverage! Owingsville, KY - Rain keep us from racing on Friday but we raced on Saturday for $15K and Edmond Ellison was the Winner over Matt Obertanec. 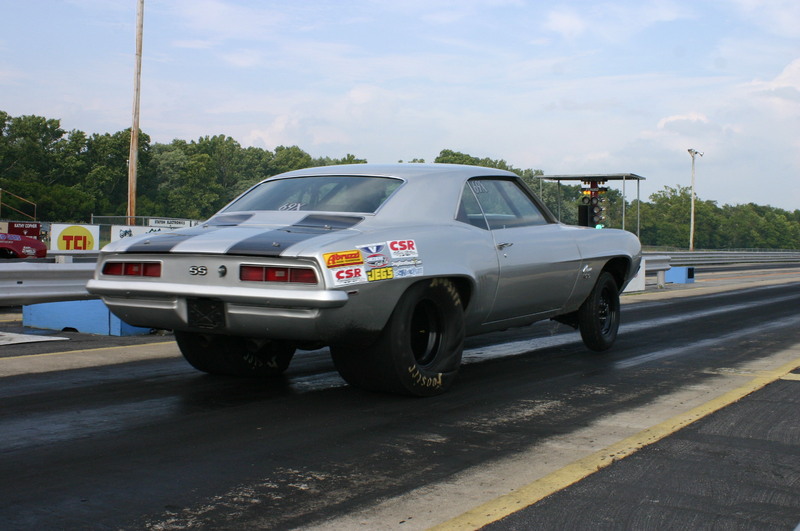 Owingsville, KY - Footbrake Racing Action from the I64 Motorplex this weekend in Owingsville, KY. 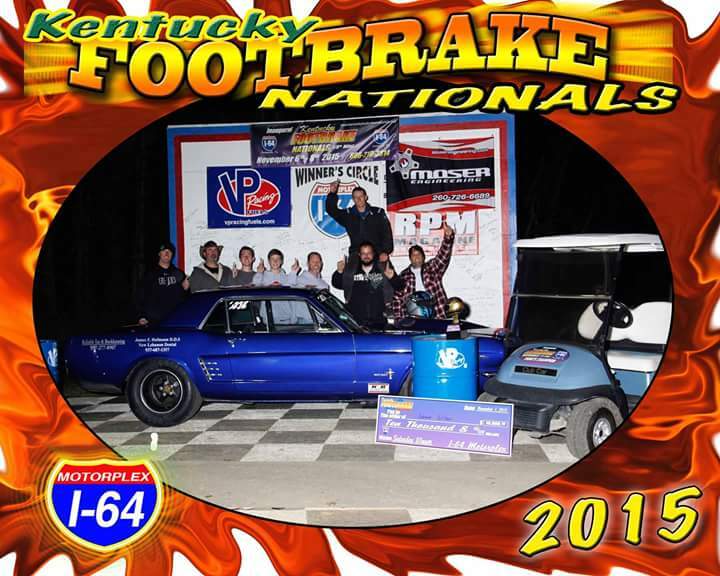 Some of the Nation's top footbrake racers racing for big money including Saturday's $10,000 top prize. COVERAGE BEGINS FRIDAY MORNING - Click here for Live Coverage! 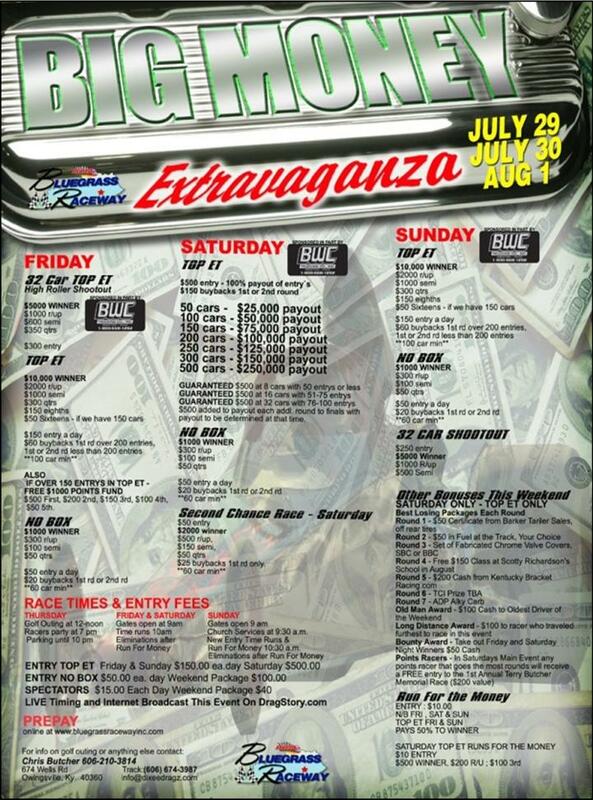 Owingsville, KY - Friday, Saturday and Sunday racers in Top ET and No Box will be competing for Big Money at Blue Grass Raceway. Thursday offers a golf outing, Pit Party and parking untill 10 pm. 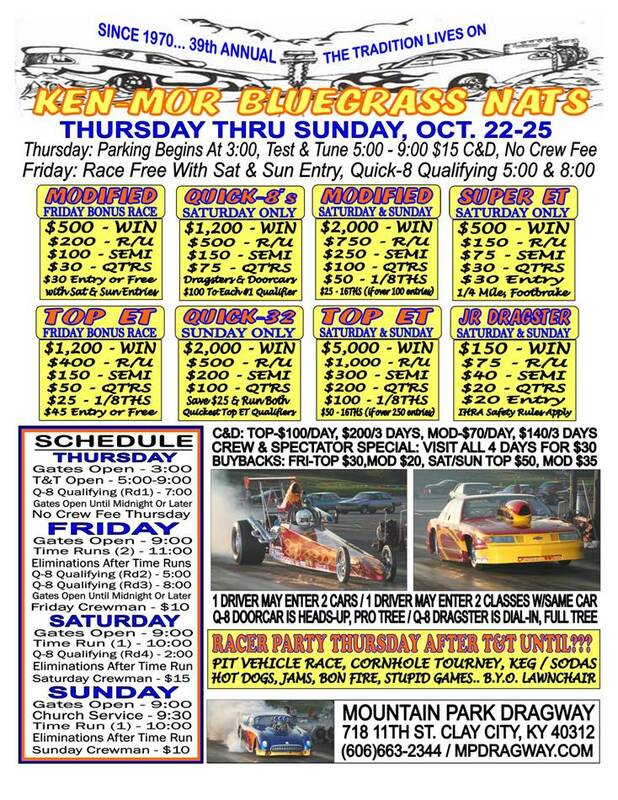 Owingsville, KY - Mountain Park Dragway 39th Annual Ken-Mor Blue Grass Nationals this weekend - Flyer Attached. 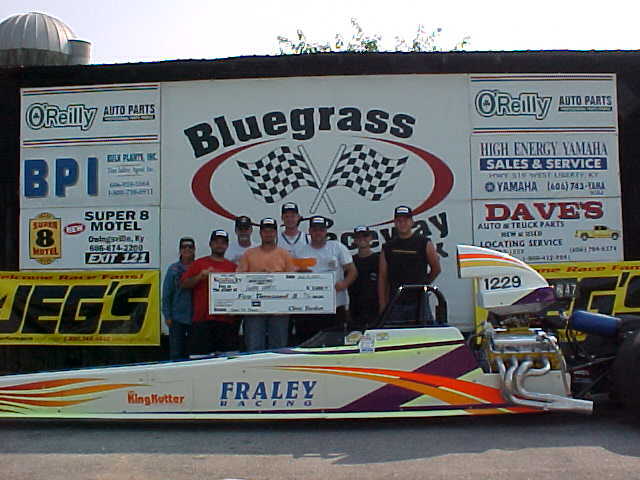 Owingsville, KY - Bobby Harris from Double Springs Alabama made it 31 different winners in BTE S/Pro in 2006.Thats right no one guy has won the class twice this year. Morehead, KY - Josh Baker and Tracy Sons were big winners this past weekend at Bluegrass Raceway Park in Owingsville Kentucky in S/Pro. Owingsville, KY - The BTE/Citgo Series Kentucky Bracket Nationals Presented By Afco was again bothered all weekend by mother nature. 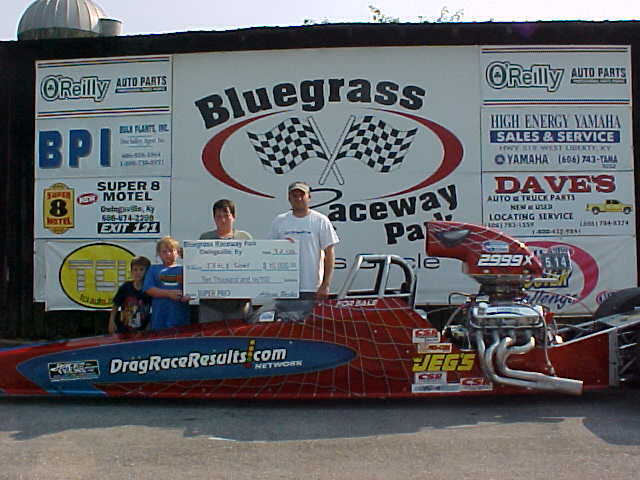 Owingsville, KY - Dwayne Blair defeated Josh Baker for the big Labor Day win at Bluegrass Raceway Park.